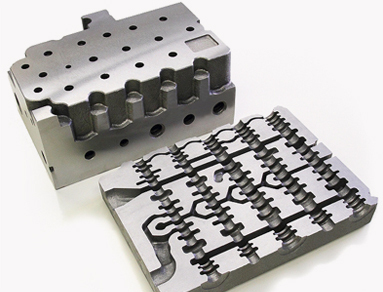 We can respond with our integrated system, covering all steps from mold fabrication, to casting and precision machining. 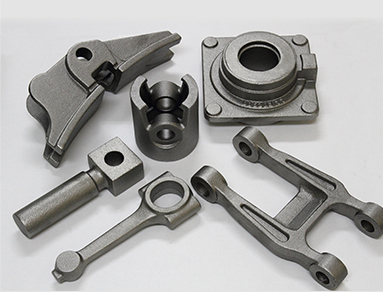 Our specialty is products requiring high quality and reliability, such as automotive brake parts, and the hydraulic equipment with complicated internal shapes that acts as the heart of construction equipment, and bears the repeated stress of extremely high pressure. We boast a particularly high share of the global market in the field of medium and large construction equipment. 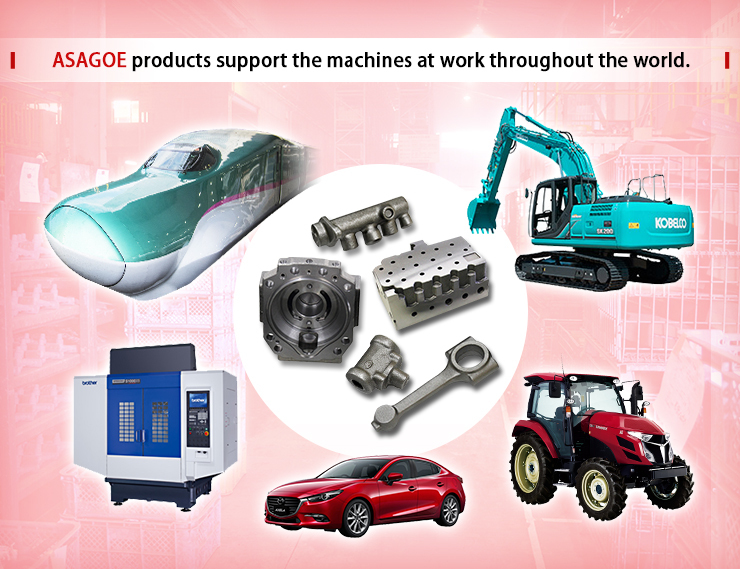 Asagoe products are used in a variety of machinery fields that are a part of daily life, such as automobiles, agricultural equipment, and the Shinkansen (bullet train). 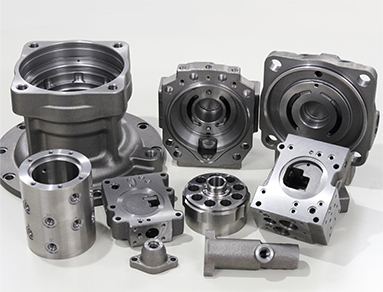 As a proposal-oriented partner company of customers in the area materials and machining, we make proposals suited to virtually any need. We bring together the latest technology from inside and outside the company, propose the optimal production process and molds to suit the manufacturing lot based on form design with close attention to cost and quality, and support establishment of the ideal supply system the customer is looking for. Asagoe also responds to urgent orders. By using the technology we have previously cultivated in the area of hydraulic equipment, our strengths as a team, and the latest analysis technology, we gear up quickly for all sorts of forms, qualities, and lots, and we deliver high-quality products. 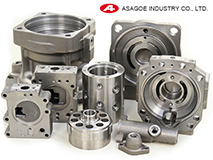 At Asagoe, we believe that manufacturing is “passing the baton” like in a relay race. For the customers who select us as a partner to trust, we crystallize products with assured safety through the capabilities of each of our employees, and deliver the results to the customer. Using automatic molding equipment ranging from small to large size, we support mass production, high-diversity/low-volume production, and machining of iron castings with individual weights ranging from 0.3 kg to 150–200 kg (FC, FCD, FCV). Various hydraulic parts for construction equipment, industrial machinery parts, and agricultural machinery parts, all requiring high quality and reliability. We have a large share of the international market in the field of hydraulic equipment for medium and large power shovels, which require quality sufficient to withstand ultra-high pressure. Brake parts for railways and automobiles, important safety-related parts.